Brew rooibos tea in 1 cup of boiling hot water for 5 minutes. Press on tea bag and discard. Put hot brewed rooibos, hemp seeds, coconut milk, vanilla extract, cinnamon, cloves, nutmeg anise and dates in a high speed blender. Blend on high for about two minutes, until smooth and fully blended. Add pumpkin purée and blend again until frothy. 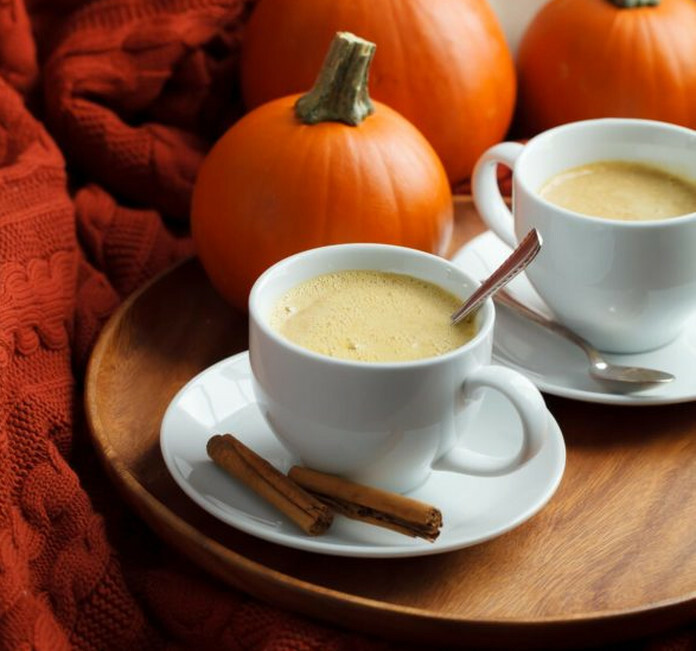 This entry was posted in MogoBlog, MogoLicious and tagged Latte, Pumpkin, Tea.